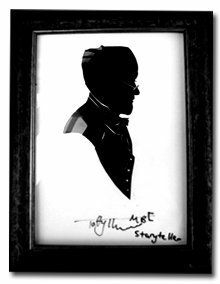 Mark is a talented silhouette artist who will create uniquely detailed profile portraits of your guests using only black paper and scissors. 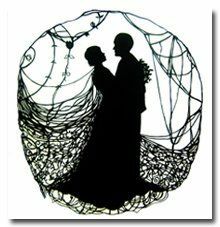 He is a traditional scissor artist and recently invited by the Duchess of Northumberland to The Alnwick Garden to cut silhouettes for visitors. 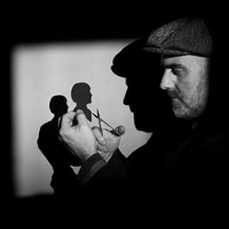 Mark is based in London and his silhouette artwork is currently featured in the new series of the Hairy Bikers on BBC2. He was featured in the BBC Children In Need broadcast from Beamish museum 2011. Mark is available for all events including, corporate events, TV productions, wedding receptions and product launches throughout the UK and Internationally. The standard length of performance is 2 – 3 hours. Your silhouettes are great and really detailed. The guests at our recent car launch were delighted with their silhouettes. 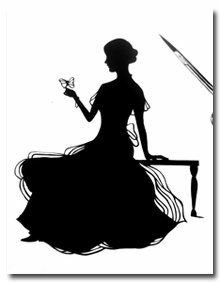 Your silhouette artwork is creative and inspiring and compliments our venue brilliantly. Thank you for your amazing detailed silhouette cutting on our live broadcast. Your portraits of our presenters will be framed and given to Beamish museum. Every single one of them were fantastic!! We and our client were thrilled with our guests reactions. They were professional as always! Thanks again.